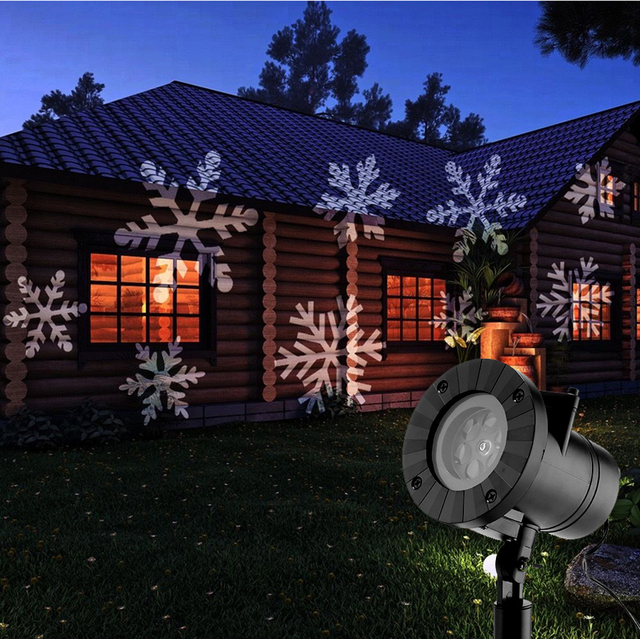 LED laser light which is suitable for using in Halloween, Christmas, New Year and party. Small size and easy to operate, moving automatically, take more fun for your party and festival. 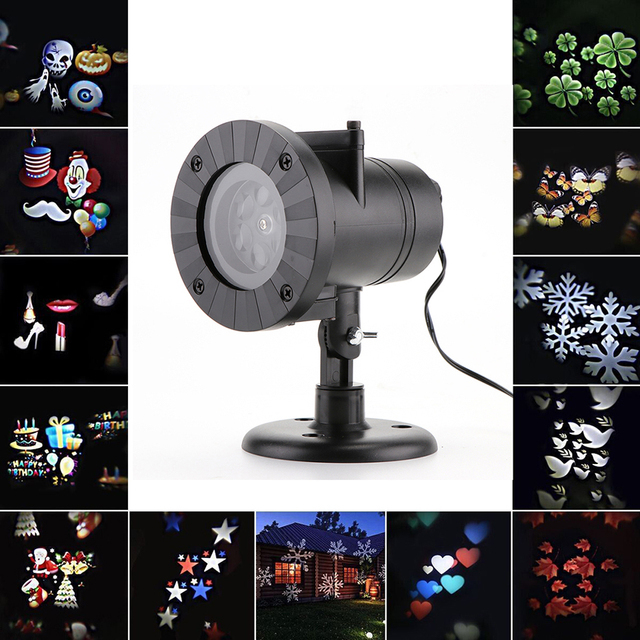 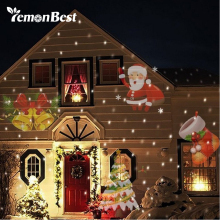 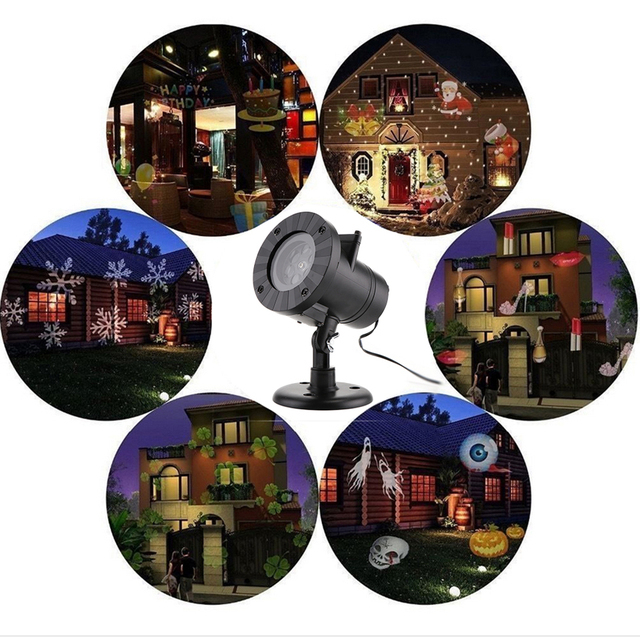 12pcs Gobo card shows colorful snowman, snowflake, ghost, spider, skull, heart, leaf, star, present, etc. 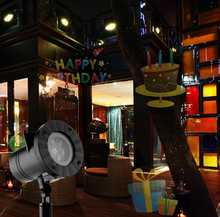 All kinds of patterns meet all your needs on different festival and party. 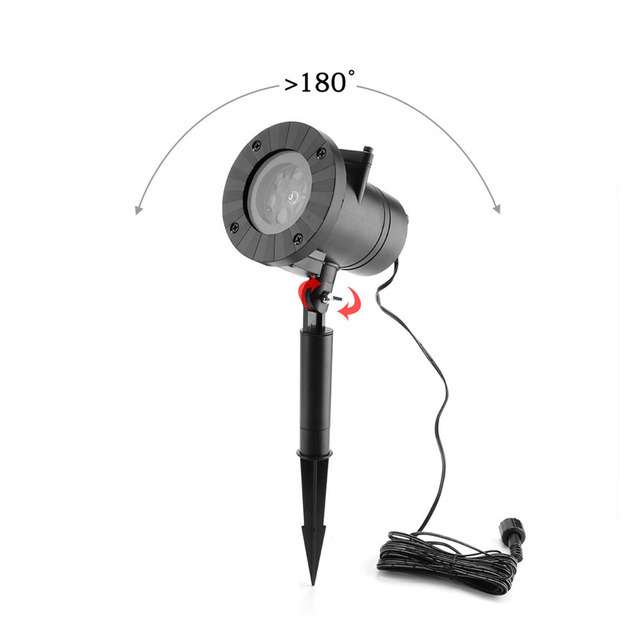 Easy to install, up to 180 degrees lighting angle, package included base and spike, this light can be installed on a wall or inserted in your garden lawn. 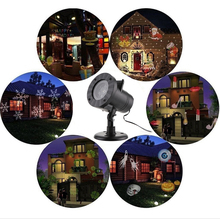 Great for kids, perfectly in home party, bar, pub, Halloween, Christmas, etc. Please do not look at the light directly, in case it might damage your eyes.